If it’s time to consider gutter replacement for a section of your gutter system, or time to have new designer gutters installed, call on the home renovation specialists at ABC Seamless of Albuquerque, New Mexico. 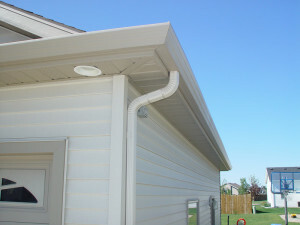 We can assist with a wide array of gutter-system upgrades, from replacing a section of your existing gutters with a matching product, or providing full gutter replacement service and installing new seamless gutters that are sure to improve your home’s curb appeal. In addition to full gutter system replacements, we can fabricate gutter sections up to 32 feet long that match an existing system, using various materials, including copper, aluminum, or steel. To learn more about our gutter replacement services in Albuquerque, NM, or any surrounding community, call ABC Seamless of Albuquerque today.